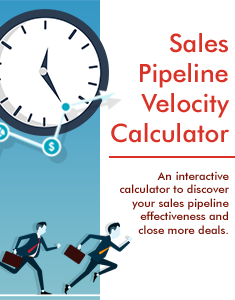 An interactive calculator to discover your sales pipeline effectiveness and close more deals. Fill out the form to get your calculator! Though painful at times, 'time is money' is how successful companies edge out the competition– it comes down to sales effectiveness and the effectiveness of your sales process. Download our sales planning tool and discover how you can impact the velocity of your sales pipeline.